With BluePayâ€™s secure credit card payment gateway, your customers can make quick, efficient payments with just the click of a mouse. 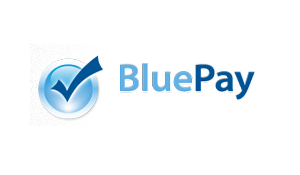 Â Accept all major credit cards, debit cards and ACH payments (BlueChex) with fast, secure account verification. Improve business operations with advanced management functions, including reports, batching, returns and voids and secure your business and your customersâ€™ data by complying with PCI standards. Concord, CA. American Express & Discover Card Require Separate Approval.